Whether you are visiting Rutland for business or for pleasure we can promise you the perfect accommodation for that special break. Come to the Tithe Barn B&B for a romantic weekend, or celebrate a special event with family and friends. The Tithe Barn accommodation has been lovingly converted to create a tasteful combination of traditional character and contemporary style. 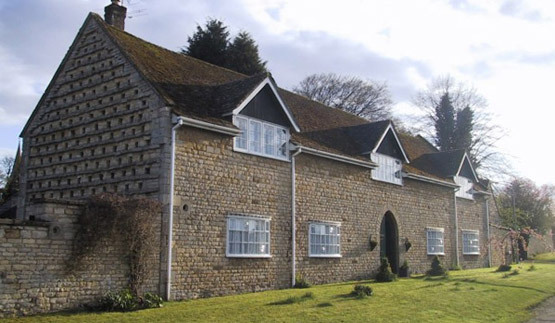 The 15th Century Dovecote on the gable end of the building testifies to its historical origin, and the wealth of original features make our home a memorable place to stay. The exposed stonework and old beams combine well with the panelled dining room, and the magnificent hall, with its parquet floor which was rescued from the local Manor House, creates a comfortable, spacious area. From your arrival to your final departure we will endeavour to make each and every guest’s stay more comfortable. Our resident cats will be pleased to greet you (and will maybe want to accompany you to your room!). In the morning, our generous breakfasts will set you up for the day, ready to explore the delights of our county. 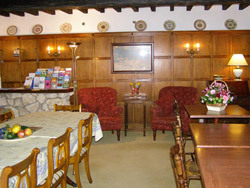 You are always welcome to use the dining room during your stay to spread out your maps and plan routes and walks. We endeavour to make every guest’s stay at The Tithe Barn as enjoyable as possible. Our accomodation has all been inspected by Visit Britain, and our home and facilities have been rated ‘Four Stars’ by their inspectors. This is luxury accommodation for a holiday or business trip in Rutland. Here you can choose just how you want to spend your time - enjoy the slower pace of life in our unspoilt county, or burn off some energy in the great range of activities available at Rutland Water and throughout the area. Whether you want to walk, cycle, fish, sail, windsurf, go birdwatching or horseriding, or simply relax and enjoy the scenery, you’re certain of a genuine welcome. 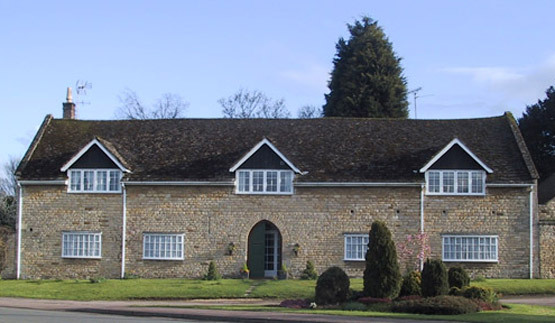 The Tithe Barn offers perfect accommodation for both relaxing and activity holidays. The village of Cottesmore nestles in the heart of Rutland, the smallest county in England, right in the centre of the country. We are less than 90 minutes away from London and this is a haven you will want to return to, again and again. Leave your car in our private car park and indulge, relax and unwind a little. Then return to your beautiful accommodation at the Tithe Barn. In our efforts to reduce impact on the environment we use locally sourced and fair-trade foods wherever possible. We actively recycle all we are able to, and strive to make the most efficient use of water. Wherever possible we have fitted low energy light bulbs to help lower the electricity used, and our three composters in the garden enable us to recycle all bio-degradeable waste. All of the radiators in our rooms are fitted with thermostatic valves to provide effective temperature control. 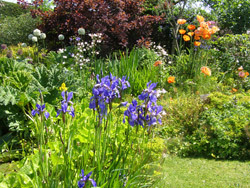 Our garden has been a real pleasure to develop over the years. In the beginning, when we first moved into the Tithe Barn, we had only two apple trees, some holly and two clumps of rhubarb. With so little already here it made it easier to design the garden around what we had. 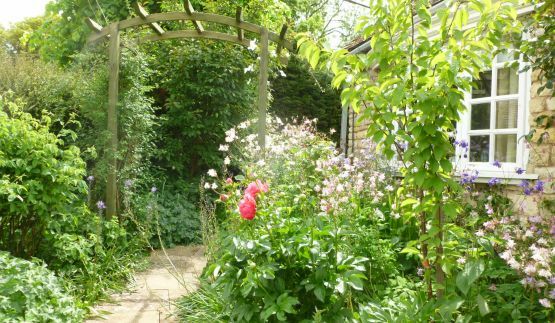 The garden has an informal cottage garden style, with curving borders and paths that disappear under a David Austin rose covered pergola. 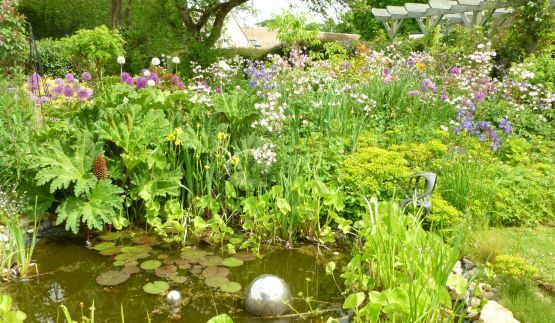 Flowers compete with herbs and vegetables, and create a riot of colours, and the natural pond is a haven for all sorts of wild life, including frogs, toads, newts, pretty dragonflies and small fish and koi carp. 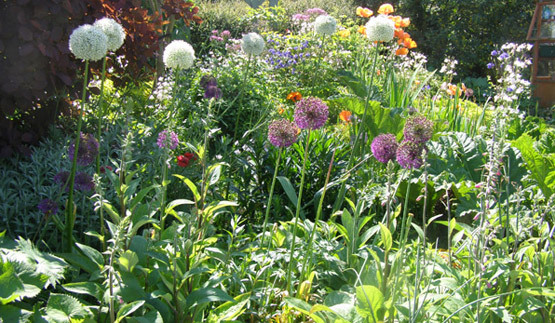 It has been our aim to have colour all year around in the borders, and this is a challenge we have almost achieved. We hope our guests will enjoy our garden as much as we do. It is a work in progress and like all proper gardens will never be finished! 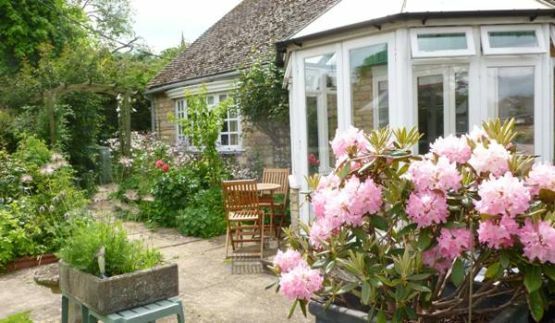 The Tithe Barn is charming accommodation in a peaceful part of the village of Cottesmore in Rutland. We have tried to create a stylish, attractive and comfortable spot for our guests, where a warm greeting awaits you at any time of the year. Call us today to book your accommodation at the Tithe Barn B&B on 01572 813591. We look forward to welcoming you and making your stay special!